Snazzipants | Have kids, they said. It'll be fun, they said. I recently got given the opportunity to test and review some of these Snazzipants modern cloth nappies (or, MCNs). 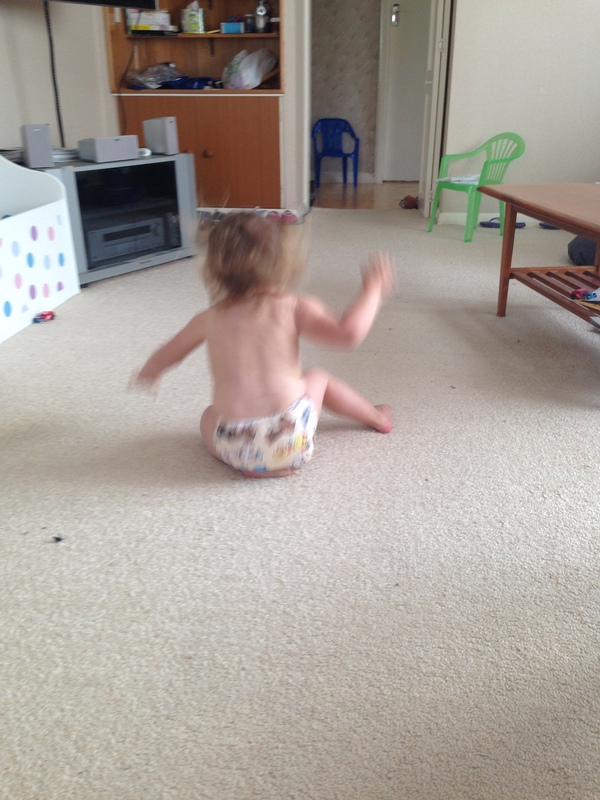 Now, Babygirl is still in nappies, but is on the tail end of it (self imposed toilet training – which really means, take off your nappy as soon as there is even the slightest dribble of wet in there. Which means, many, many wasted nappies). So, I jumped at the chance to trial a cloth nappy. Anything to save money! 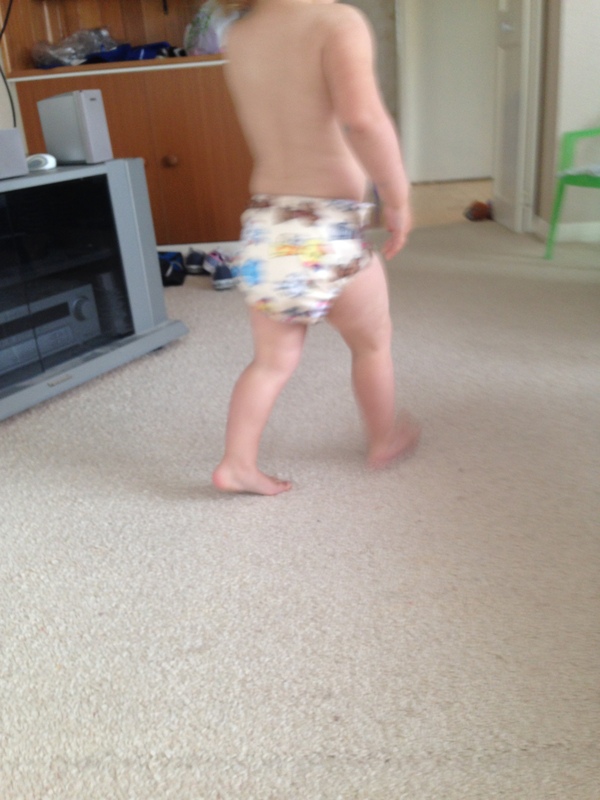 I am no stranger to cloth nappies, I had some with the other kids, and we used them relatively regularly in the summer months, though I found the washing and drying too hard to keep up with in the winter. But the cost was certainly a major draw card. I had, however, handed these on to another friend when we made the move a few months ago, and regretted the decision! 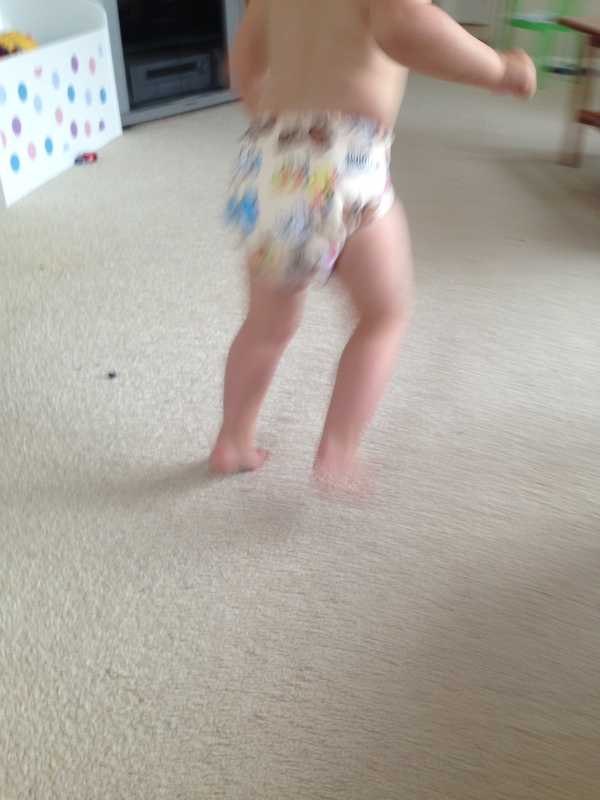 I convinced BabyGirl to wear these Snazzipants (a job made easier by the gorgeous cat print!) by calling them her Fancy New Cat Knicker Nappies. Give it a fancy name and they are all over that! Babygirl wore this nappy on days when she just didn’t want to wear knickers, or on days when we had experienced accident #4 or #5 and Mummy just didn’t want her to wear knickers any more. She loved it. They are comfy and cute, as well as being absorbent and practical. The All-In-One – easy to wash and dry, has an insert but this is not removable. The Pocket Nappy – I think anyone who knows MCNs will find this one the most familiar – you can remove the insert and wash it separately, which makes drying time faster. The Pul Cover – This essentially is just an outer, you use it with a cotton inner, folded on top. These are good in that you can change the inner, and continue to use the outer (unless you are struck with a poonami situation. Then the whole thing goes in the wash). I understand that cloth nappies aren’t for everyone, but it’s one of those things that I didn’t think I would be into, and surprised myself. I had myself pegged as far too lazy to mess around with these, but realised when Princess was a baby that it wasn’t as hard as I thought. 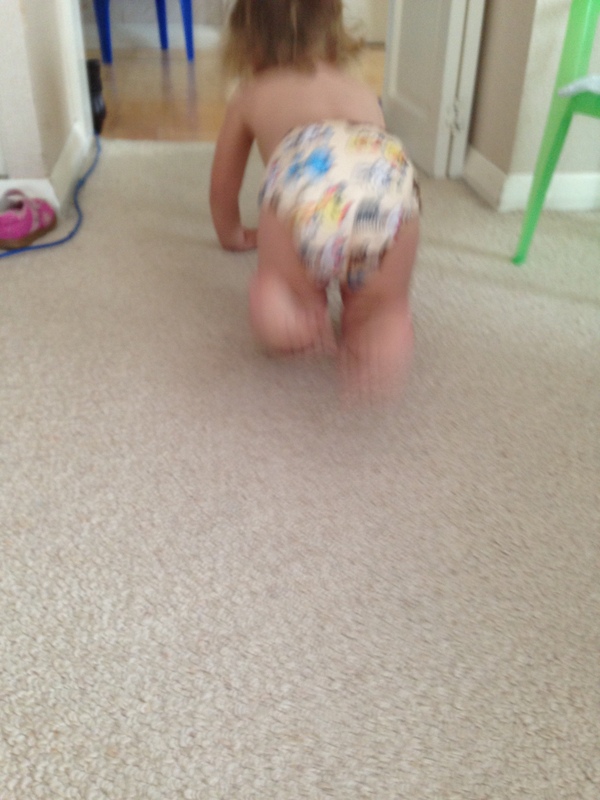 Taking a pic of a two year old wearing a cloth nappy? Now, that is hard!